Red Cross is the largest Humanitarian Organisation was formed founder Sir Jean Henry Dunant in the year 1863. Since 1920 the Indian Red Cross Society has been working for the people of Indian by rendering humanitarian services through it’s 700+ branches spread all over the country by providing relief in times of emergencies and promotes health & care of the vulnerable people and communities, along with building their skill and knowledge on disaster management. It is a leading member of Red Cross. To commemorate the First Noble Peace Prize winner, the Founding Father of Red Cross IRCS-Odisha State Branch installed the Statue of Sir Jean Henry Dunant in its campus at Red Cross Bhavan, Bhubaneswar. 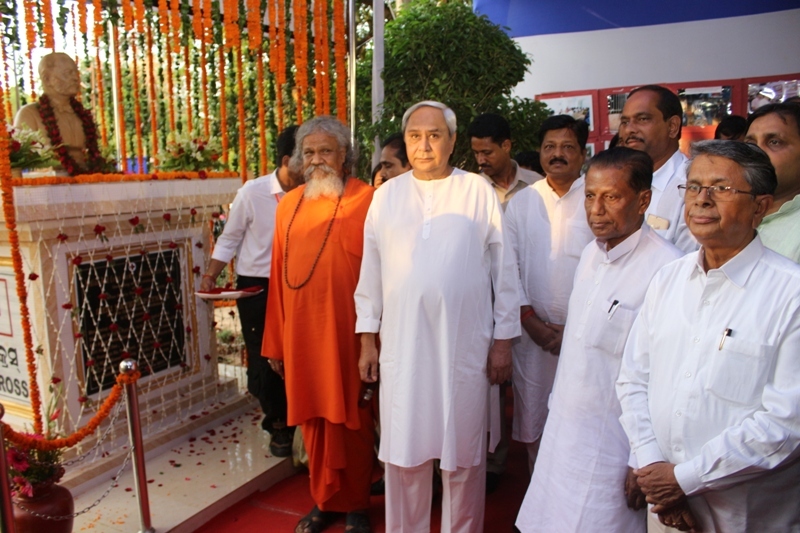 On the Statue unveiling ceremony of Sir Jean Henry Dunant, the Hon’ble Chief Minister, Odisha joined as Chief Guest and unveiled the statue. Hon’ble M.P. Sj Prasanna Patasani, Hon’ble Minister, Health & Family Welfare, Law and Chairman, Working Committee, IRCS-OSB Sj, Pratap Jena, Hon’ble Minister, Higher Education, Science & Technology and Chairman, Working Committee, YRC-Odisha Sj. Ananta Das, Hon’ble Minister, School & Mass Education and Chairman, Working Committee, JRC-Odisha Sj. Badri Narayan Patra, MLA Bhubaneswar North Sj. Priyadarshi Mishra joined as Guests of Honour with other dignitaries and life members on this occasion and encourage the spirit of all stake holders towards the cause of humanity on 3rd of June 2017.